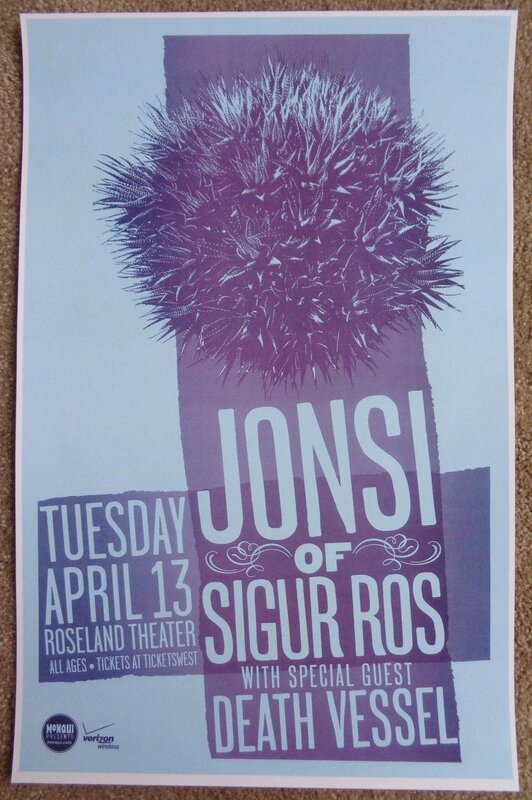 This JONSI of SIGUR ROS gig poster is rare. It was 1 of 2 versions produced (yes, I have the other one available for sale too!). It is very hard-to-find since it was a promo only available at ticket outlets and music stores to promote his concert.Warm-up DEATH VESSEL is listed.